Reflexions offer a wide range of bespoke Complementary Therapies to aid relaxation, stress management and ageing well naturally. We specialise in Facial Reflexology and Zone Facelift (Ziggie Bergman Method) hailed as the “Natural alternative to Botox”. Both treatments revive and rejuvenate the skin and complexion, while providing the holistic benefits of reflexology. 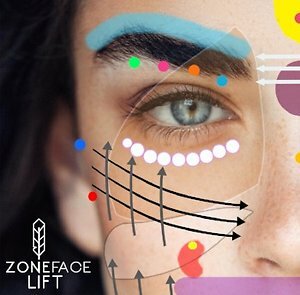 Research also indicates that an intensive programme of Zone Facelift can make you look up to 10 years younger in just 12 weeks! A bespoke aromatherapy blend is included in all treatments promoting a deep sense of relaxation and targeting the individuals emotional and physical needs. Find out more by reviewing our treatments above. Centrally located for Counties Tyrone, Armagh and Monaghan, with an additonal location in South Belfast. 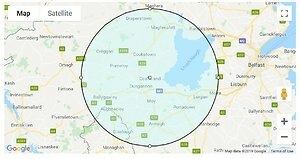 Coalisland is only 5 minutes from the M1 and within a 20 mile radius of Armagh, Craigavon, Dungannon, Cookstown and Ballygawley. Treatments are also available in South Belfast.